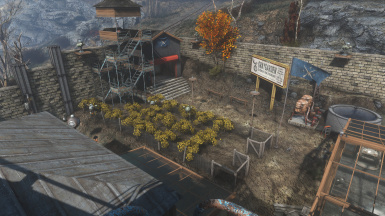 Graygarden Minutemen settlement created from my Nora campaign. 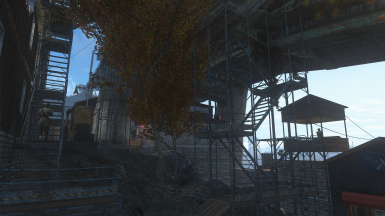 Features a clean rebuilt greenhouse and rooms/living spaces built on the ruins of the elevated highway as well as on the cliff using lots of scaffolding. Selectable Mark I-VII Machinegun Turret Choose the Mark VII Turret Only file, or ignore and plop your own turrets. 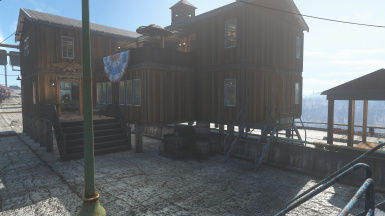 Special thanks to CDante for his Transfer Settlements mod and making this possible. My second complete playthrough of Fallout 4 had Nora as the Sole Survivor this time and I played her like the lawyer I envisioned her as, passionate about what she believes in but measured, deliberate. Her integrity is her foundation which made for some interesting quest choices. She's an eternal optimist, and it was even more important keeping that way waking up into this wasteland and later finding out about her son. All of this is reflected on how the settlements would be designed and built in this Restoring the Commonwealth campaign. 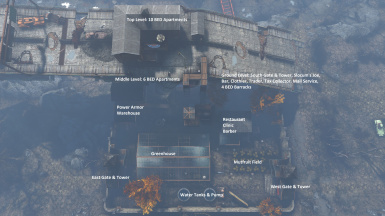 This is my Graygarden settlement blueprint using the Transfer Settlements﻿ utility. It goes directly into Slot #10. 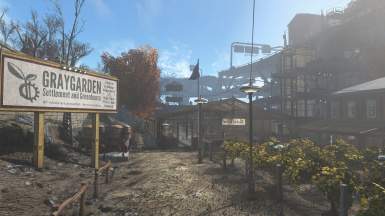 All of my settlements are self sustaining setups capable of managing their own food, water, defense and contributing into the junk/meat train running through all of the settlements in the Commonwealth. There's enough crop that's farmed where if a settler/farmer was kidnapped or killed for x reasons, the resulting drop in production does not take the yield below the population number. This settlement is considered Large among my builds so there are enough beds and resources to cover a population of 20. 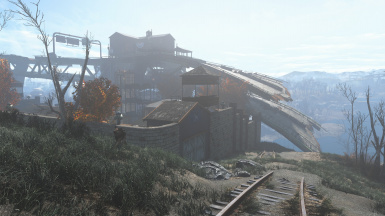 I use Scrap Everything to remove debris / trash and also structures if they can be rebuilt either using DLC assets or mods which is detailed in the Requirements section above. 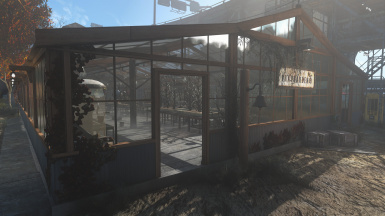 In this settlement, the greenhouse was completely rebuilt using DLC assets with Clean textures. Workbench was moved into the warehouse, on the second floor, where the robot workbench is located. I also use several Clean variants of textures to reflect Nora's meticulous style but that is purely optional. 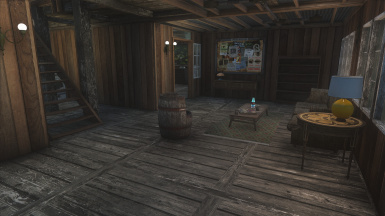 Clean Shacks are a requirement however as the wood pieces actually replace the game objects so please make sure that's the direction you want to go in game. 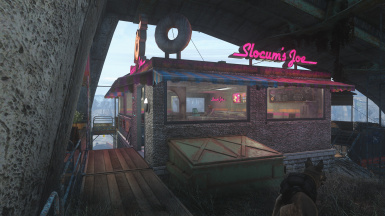 There are mods from the Creation Club that are also used in this settlement but again it's left entirely up to you whether you want to include these (all but the Slocum's Joe building serve as clutter and you can replace that building with something else of your own preference in locations where present). 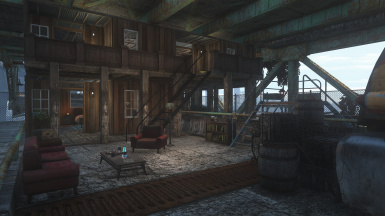 If you want to keep the settlement to have similar assets as my screenshots, I encourage you to have these installed as well. Lastly, I use All Settlements Extended to expand the borders of all of my settlements which means settlement attacks (as bad as they were positioned in the base game) will also likely occur even moreso within these new borders. I highly recommend downloading and installing the following mod linked below. Make sure to choose the compatibility option with All Settlements Extended. I would also recommend installing this in conjunction with the aforementioned mod so your total settlement defense actually means something.